There are certain words that you just DON’T say around certain groups of people. We don’t say “steak” in front of a group of vegans, don’t say “Ford” at a Dodge dealership and you don’t drop the F-bomb in front of a bunch of “natural barefoot hoof care providers.” By F-bomb, I mean the word “farrier.” What did you think I meant??? Sheesh I am a lady. Oh my Gosh is that a FARRIER touching your horse?!?!?! 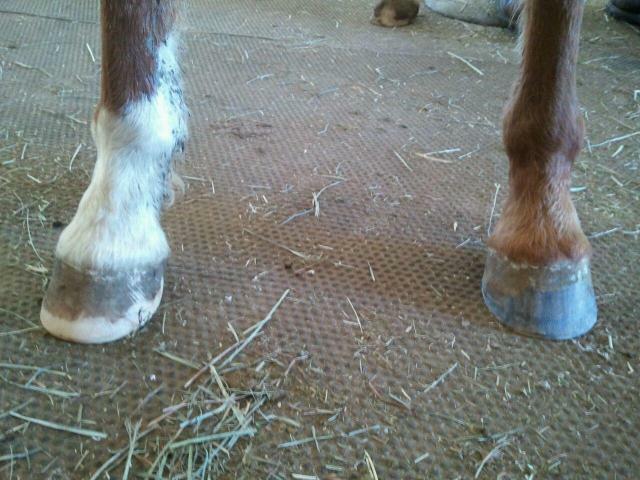 Yup, a tall farrier. I generally am not a purist when it comes to the barefoot thing. 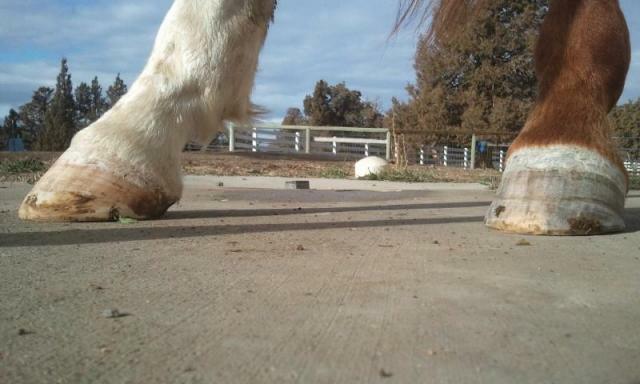 While I fully believe in the benefits and advantages in a properly trimmed barefoot horse, I am around enough of a variety of owners, horses and disciplines to understand that maintaining a bare foot horse isn’t ideal for some situations. 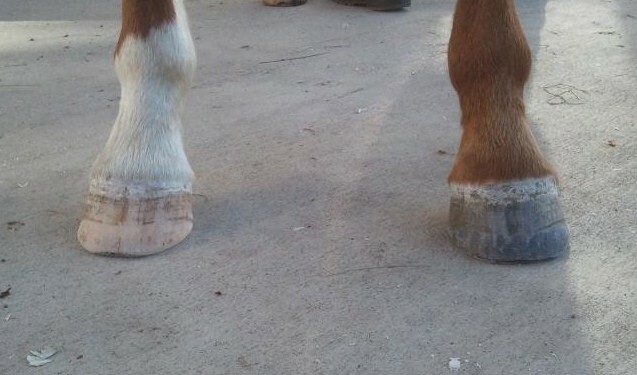 Unfortunately, forcing the matter in a less-than-ideal situation is a recipe for disaster and sure isn’t good for the positive image of natural hoof care, nor is it in the horse’s best interest. As I think most will agree, 100% commitment is necessary for success. When people get all high and mighty about it, I tend to roll my eyes. So when I hear someone touting that they are a “natural hoof care provider,” it makes me roll my eyes a little. NOT because I disrespect those who have dedicated their lives to truly learning and bettering the lives of the horses we love, but because of all the rest who have seen it as a way to make a quick buck off of sweet, well-meaning horse owners all over. Short little back and long, long legs. Chant tends to forge if he’s not trimmed with a short enough break-over. 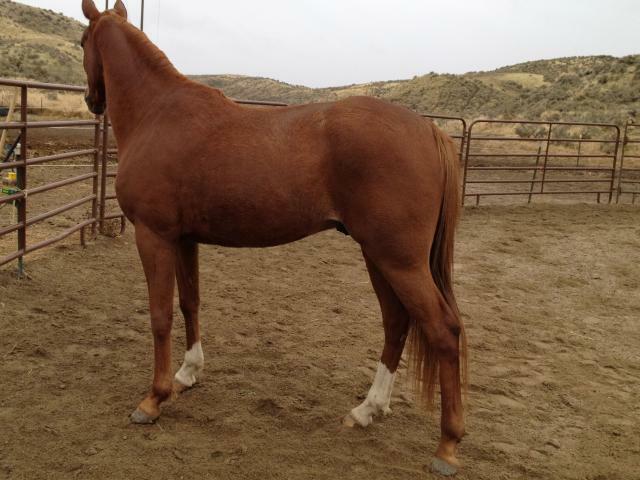 Sometimes the owner does have good information that should be taken into consideration when trimming horses. But we’ll get to that. 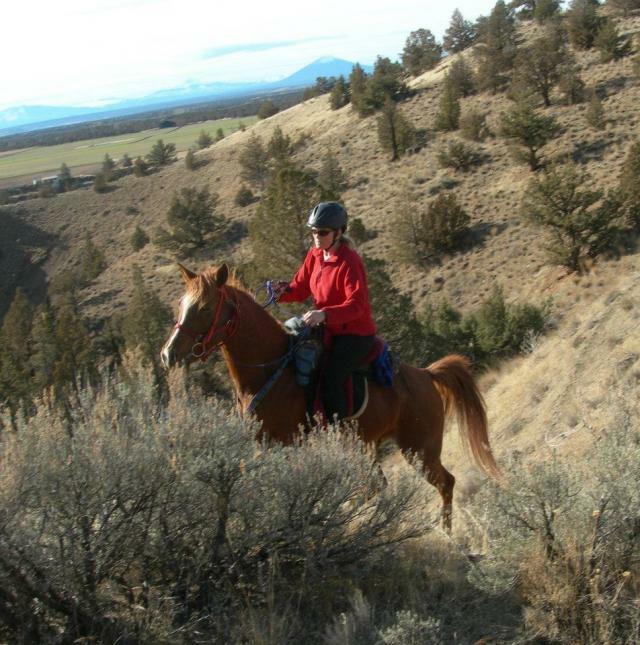 Last fall, I took my young gelding, Chant (or, ironically, F-Bomb as we *lovingly* call him) to a friend in a neighboring state for some remedial education. If you recall, I received a big, beautiful white horse in trade, who would be coming to me to transition to competing in Easyboots and receiving a bit of fine tuning. I was expecting Nero to be a great blogging subject throughout his “transition,” but was a bit miffed when we pulled his shoes, touched up his otherwise beautifully trimmed and balanced hooves and haven’t looked back. So much for blog fodder! Anyway, I had planned to drive over to ride and trim Chant every six weeks or so, but of course life got in the way and before we knew it he was overdue. Life as he knew it was about to change. Now we all know how incredibly cool and laid-back I am about things. I didn’t freak out about having someone else trim my horse, no way! (Um, right. I was totally freaking out). 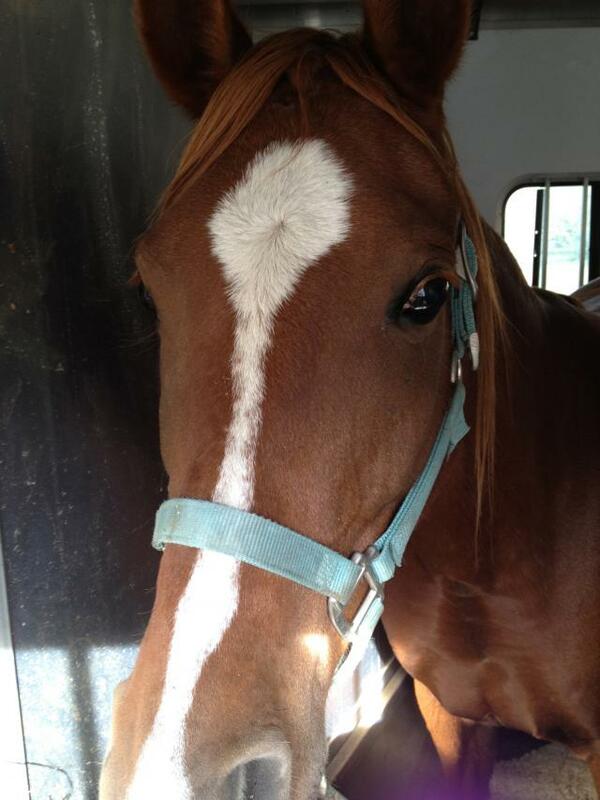 Having been the only trimmer of my horses for the past five years, I felt stuck and helpless 300 miles away. I resorted to the internet and quickly realized that there isn’t much of a database for trimmers, nor is there any standardized certifications to at least give an idea of a trimmer’s education. It wasn’t easy to sift through all the pretty pictures and the right phrases, but there wasn’t much to chose from either. I made a decision based on a few emails and an appointment was set for Chant. Little Chantley is cursed, er, blessed, with a very short back and very long legs. As result, he forges terribly if his break-over isn’t just right and I made sure to state this several times- “Please back up his toes! !” No matter, not much was addressed in the trim. I was sent several pictures afterward that literally made me cry. All the sudden my horse looked weak in the pastern and looked as though he had long toe/low heel syndrome in all four feet! I was devastated because this is the horse who has very low maintanence trimming requirements and has been the easiest of any horse I’ve ever had to maintain. What went wrong? How could this trim fail to address the issues I asked about and leave him looking worse than before? 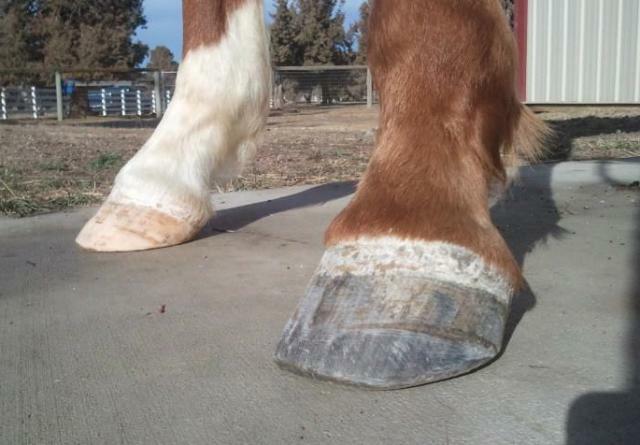 I don’t hold anything against the trimmer, I know it’s a tough profession and difficult way to make a living, but the trim left much to be desired and I began to better understand where the common lack of respect for the term “barefoot trimmer” came from among other equine professionals. 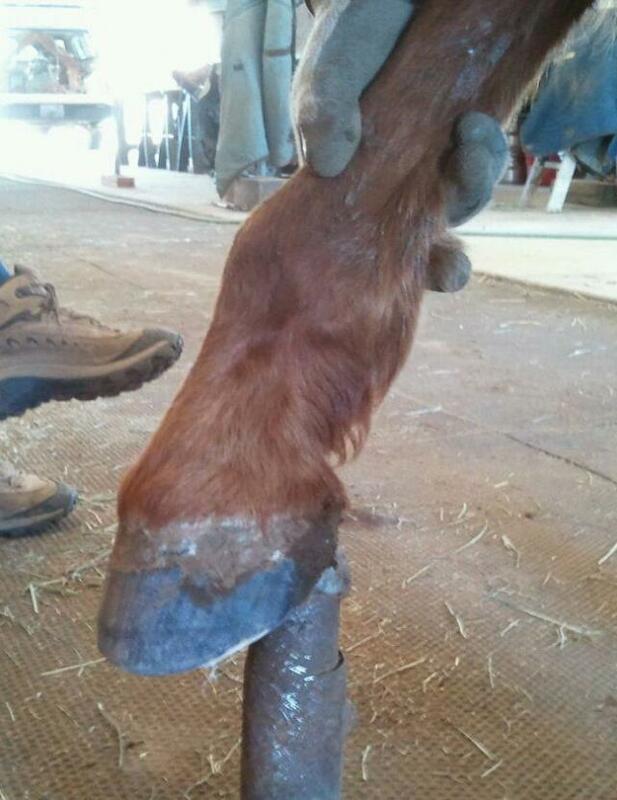 If this is what you get, no wonder veterinarians are leary of working with these individuals to fix and improve normal, not to mention pathological hooves. Of course this is only one trim on one horse by one person, but is this more the norm than the exception? Front feet after the trim. The heels were taken down, and the toes were squared, which doesn’t make any sense to me. His coronary band was pushed up and the toe pillars were not backed up. His right front makes me wanna cry- long toe, anyone? The hinds were also bad. Heels taken down, toes not addressed. Definitely a different style than I am used to. 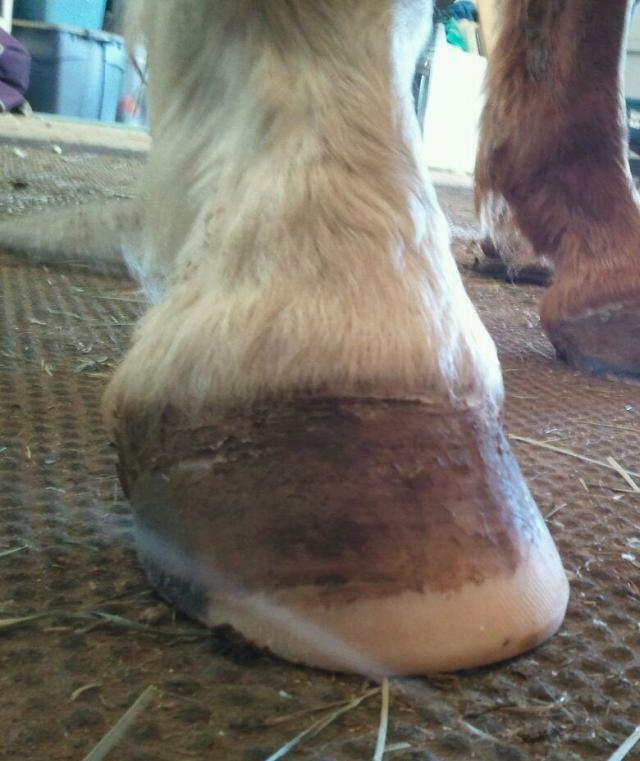 Luckily for us, my friend’s farrier was due two weeks later. I spoke with him over the phone and told him a little of what was going on. Not only was he hilarious, he was honest and upfront. He said he would take a look and get Chant fixed up and would call me after he was done. Wouldn’t you know the FARRIER gave my horse an incredible trim and I have absolutely no qualms about continuing to have him trim while the horse is there. 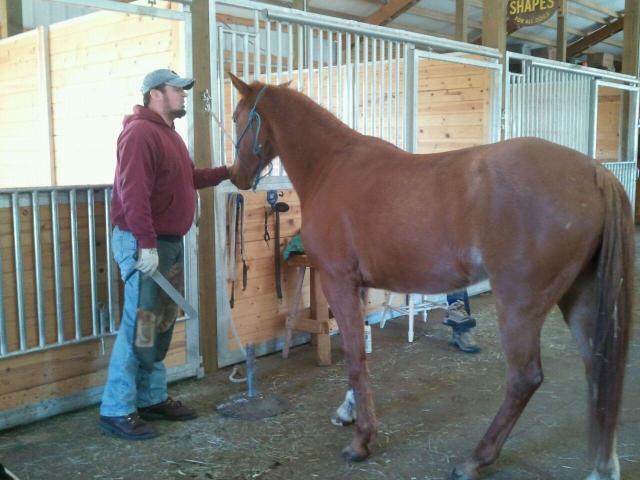 I even wish he was closer so he could save my aching little back and trim all my horses! (His) Right front after the F*&^%$R trimmed it. Finally the toe is addressed. One can argue he used his rasp higher up than ideal, but it is exactly what I would have done and got Chant’s feet back to where they needed to be. Beautiful bevel and nice short toes. Should it matter who trims the horse, as long as it’s a good trim? I don’t think so. 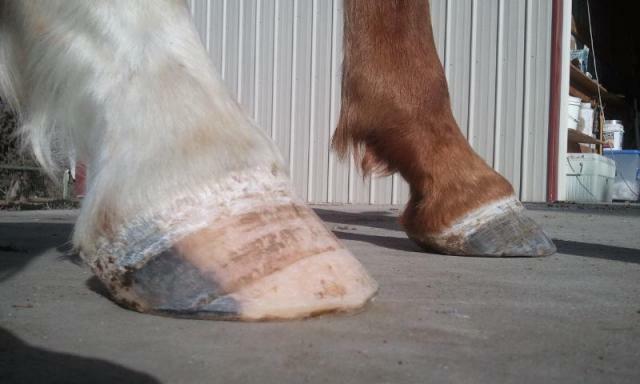 Should the hoof care provider listen to the person who *knows* the horse, and make adjustments to their trim accordingly? Absolutely. 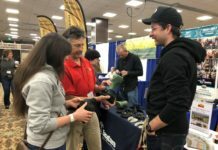 A friend of mine is passionate about education and feels that vets, trimmers and farriers all have something to offer, and that pooling the resources will lead to better performance on all fronts. Keep an open mind and see things for what they are. My point in all this is don’t let verbiage and titles rule your decisions. Talking the talk doesn’t mean anything if the results don’t leave your horse walking the walk.